* This section identifies articles published in general press at national, state or international levels that reflect in some way or another on the cultural system of the city on the fringes of daily news. * Please send us a link to any article you consider we should review and we will try to publish it hola@hanseligretel.cat. Collaboration is one of the pillars of Hänsel* i Gretel*. La cultura és una prioritat senyor Junqueras? Adéu a la universitat ? Una altra cultura és possible? 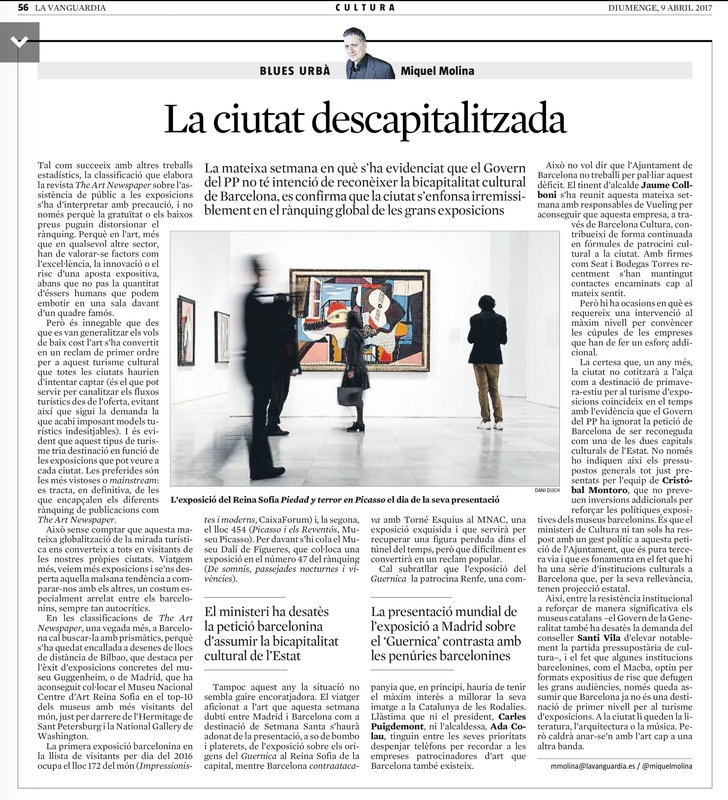 Què coi passa amb els museus públics? De debò “volem pa amb oli”?